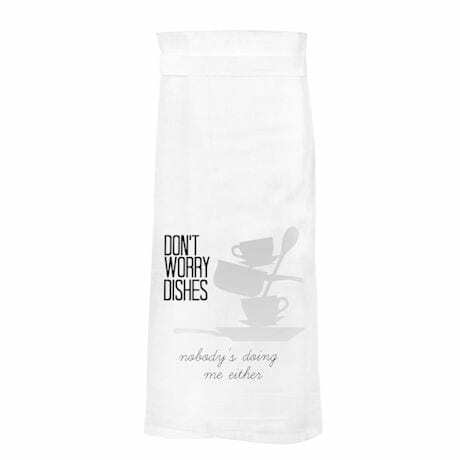 Kitchen towels have two jobs to do. 1) Be on hand for any spill, slop or drip that needs a quick wipe. 2) Add joy to your life. 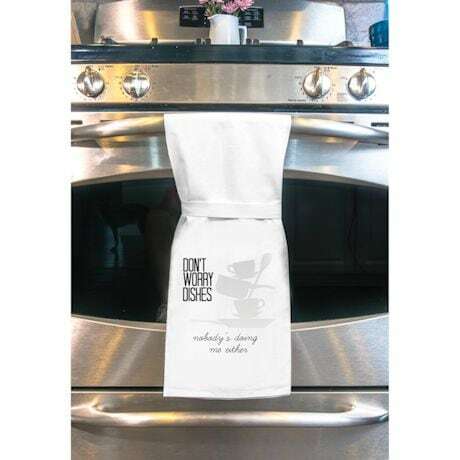 Add a little humor to your next kitchen shift with funny sayings screenprinted on superabsorbent, premium cotton flour sack dish towels-the kind that gets better and better the more you use it. Machine wash. Imported. 26" square.